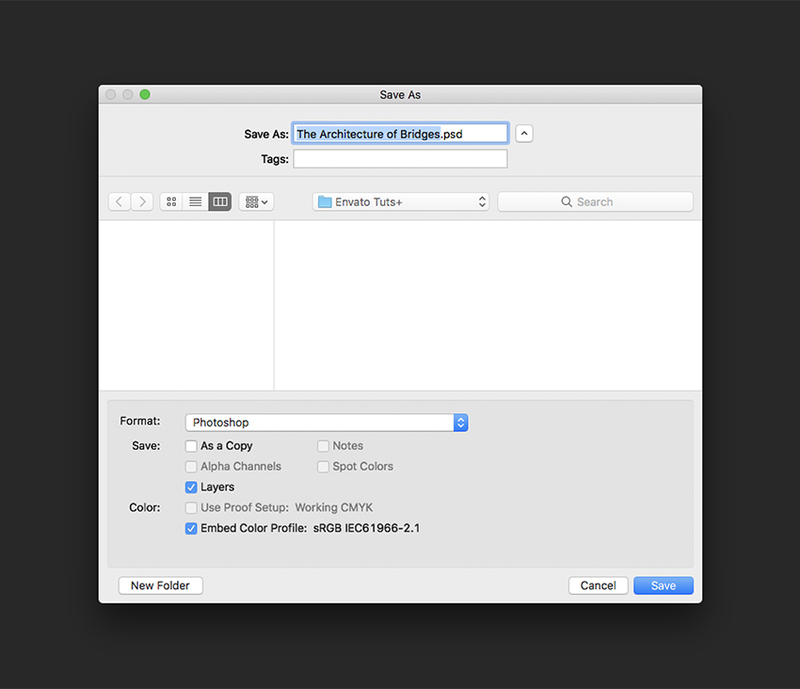 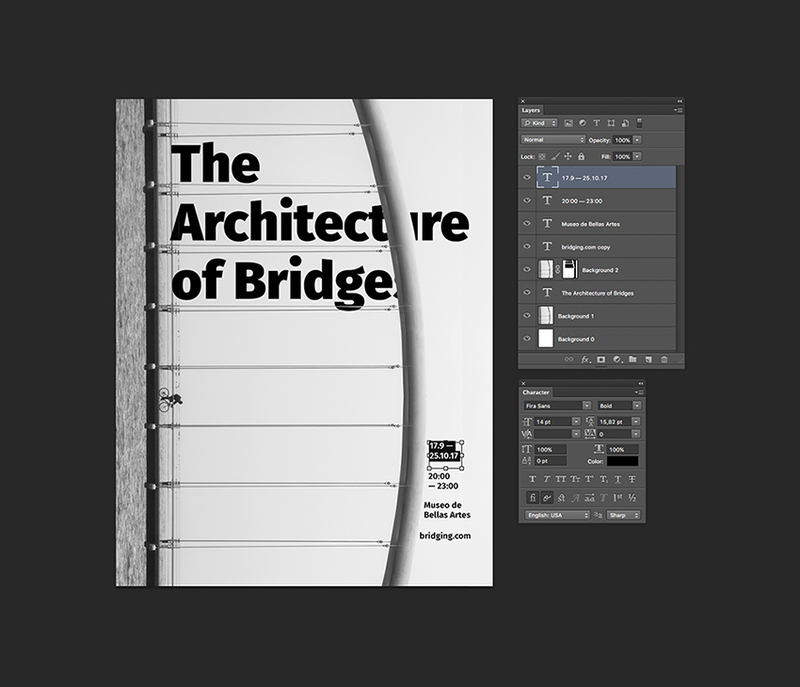 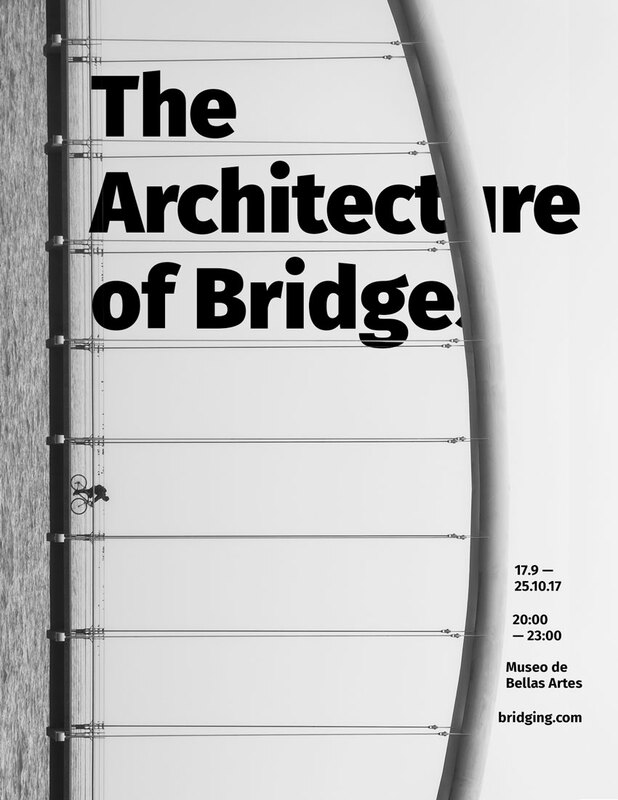 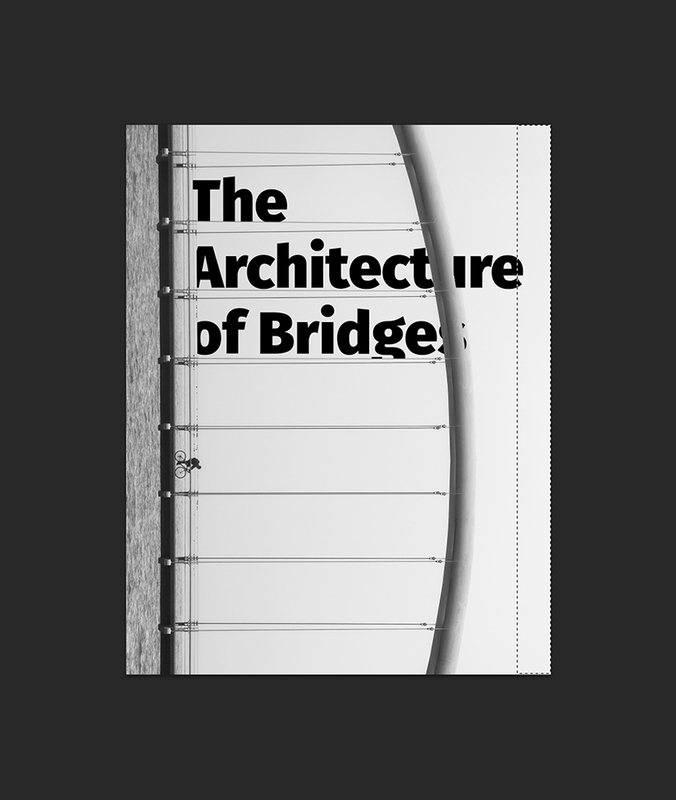 Using the Type Tool (T), type “The Architecture of Bridges”. 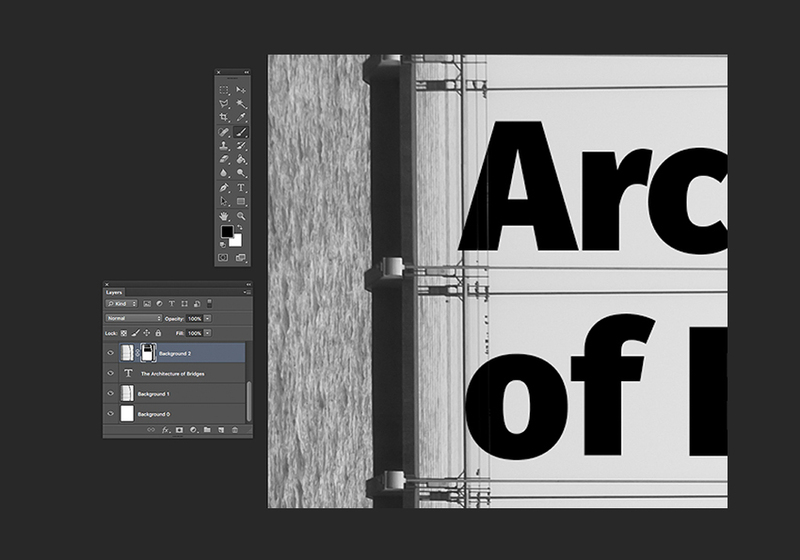 On the Character panel, set the Font to Fira Sans Black, Size 86 pt, and Leading 95 pt. 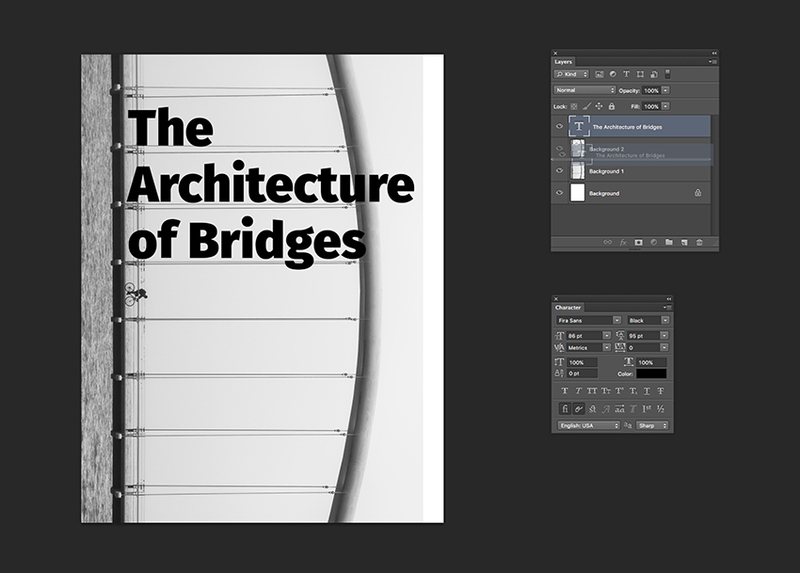 Now that we have almost all the components, we can polish our bridge image. 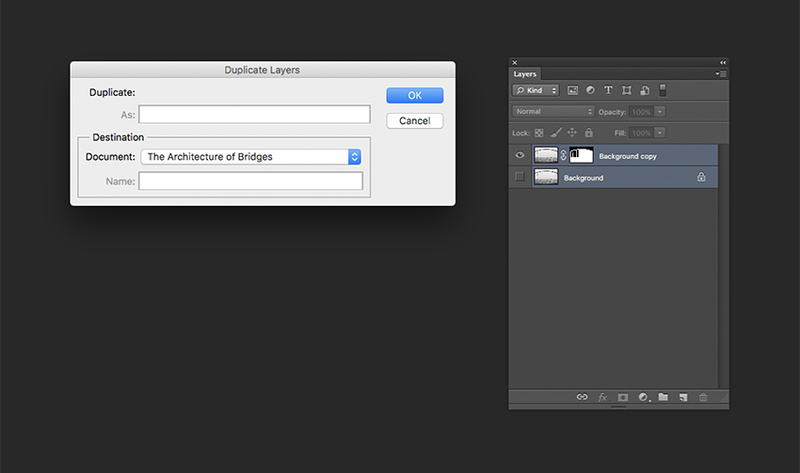 Activate the visibility for Background 1 and select the layer. 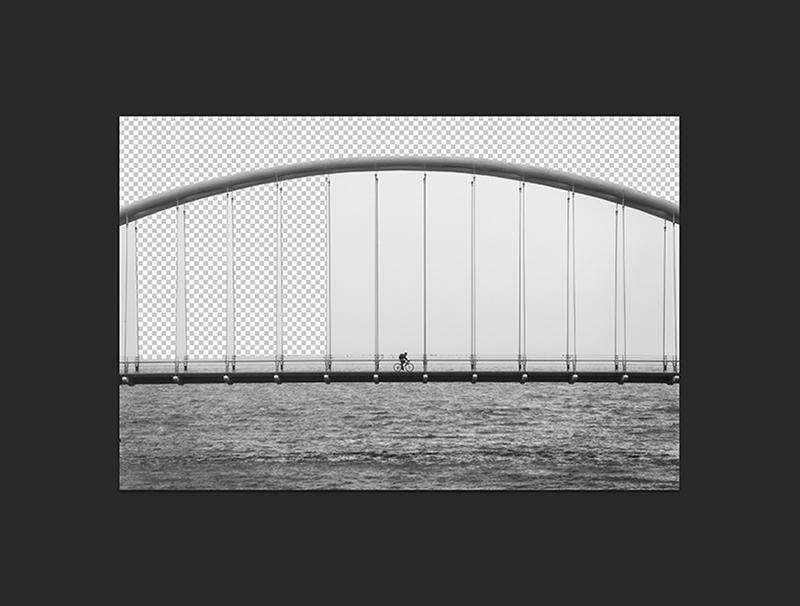 We can extend our layer to cover the white stripe on the right by selecting the Rectangular Marquee Tool (M) and selecting a strip of the sky. 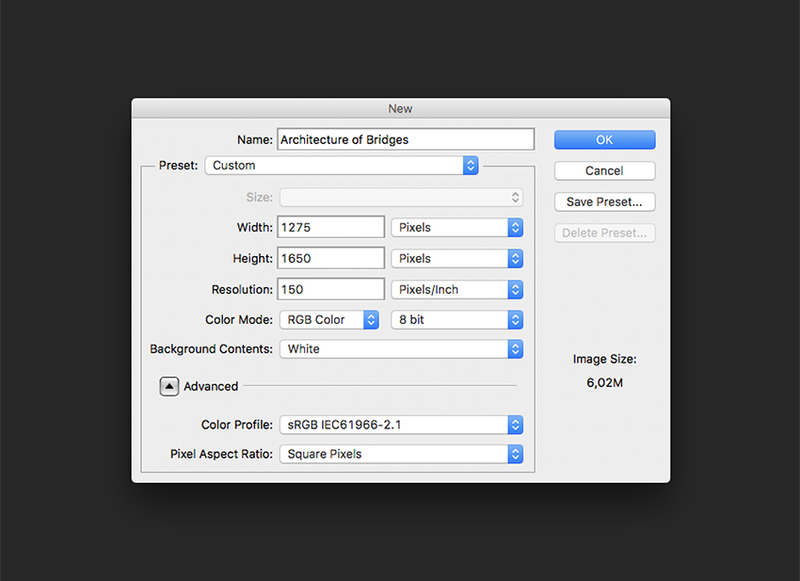 Once it’s selected, press the Move Tool (V). 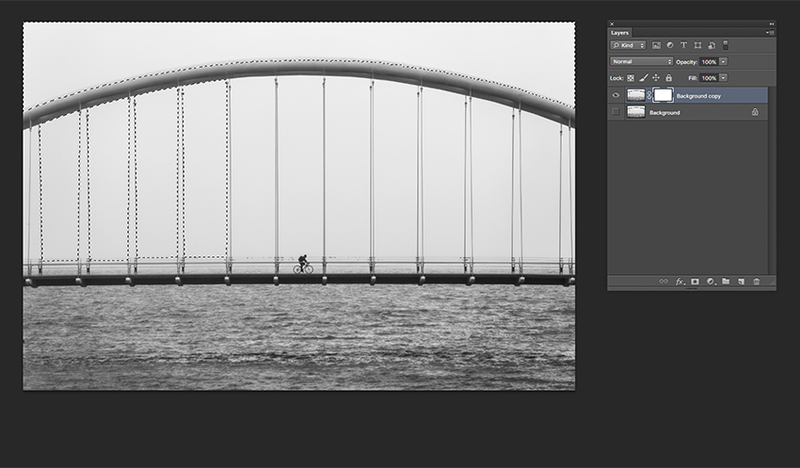 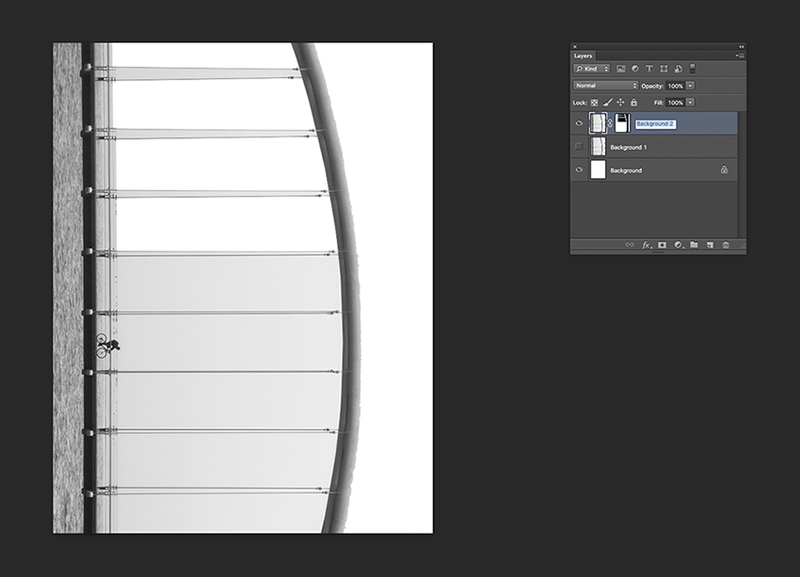 Hold the Option key and click and drag the stripe to cover the right side of the image.